Quico says: And yet another one. 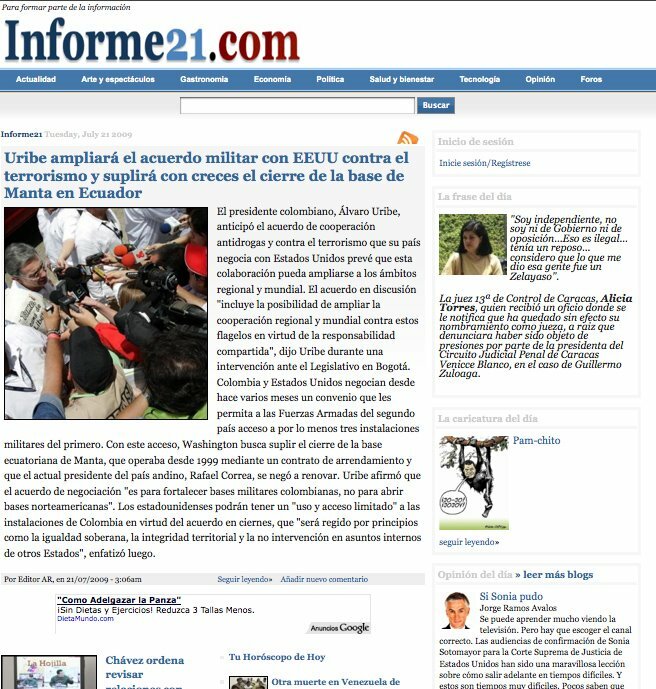 Informe21 adds an extra twist to the morass of laziness and unimaginative mediocrity that is the Noticias24-knockoff web: not-particularly-nice, 1999-vintage web design. The boilerplate, culled-from-GoogleNews stories, the bucketloads of zero-comment posts, the absolute lack of anything suggesting an original voice, or an attitude, or a sense of wonder, or a pulse…all the hallmarks of the lazy, lets-jump-on-the-N24-bandwagon-and-make-a-quick-buck mentality are here. Sad. Just sad. Post 61 of 100. Despiriting.